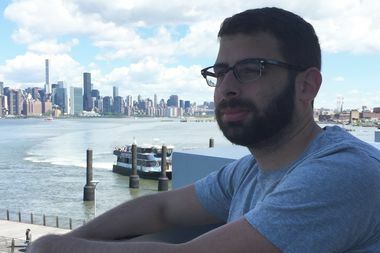 Brandon Gollotti is leaving the Williamsburg waterfront this month for Downtown Brooklyn in search of better transit options. BROOKLYN — Brandon Gollotti is done with living off the L train. He’s tired of the overcrowding at the Bedford Avenue station. And he doesn’t trust the state will have effective contingency plans in place for the 15-month L train shutdown between Brooklyn and Manhattan slated to begin in April 2019. So, he and his girlfriend are moving this month from their swanky, amenity-laden building on the Williamsburg waterfront at 1 N. Fourth Pl. to an even newer swanky, amenity-laden building called the Hub in transit-rich Downtown Brooklyn. “Generally, we had to wait for five or six trains to pass before we could get on an L train. It was a total nightmare," said Gollotti, a 29-year-old commercial real estate broker who works in the Flatiron district. "With the closure, things are going to get worse." Access to transit has always been one of the biggest considerations when it comes to real estate decisions. Slashing service — like with the impending L train shutdown or this summer’s Penn Station track closures —can have negative ripple effects on the market, just as expanding service have positive ripple effects, as in the case of the new Second Avenue subway line, ferry service and the No. 7 train extension. Leonard Steinberg, president of brokerage firm Compass, said the problems with the overall aging infrastructure of the subway and rail system have reinforced the popularity of neighborhoods like the Lower East Side, which are walkable and bike-friendly. He's seeing Williamsburg residents, who were once on the more popular side of the East River, migrate back to Manhattan and seek out projects such as the one he’s working on at 196 Orchard St.
Jessica Milton, a broker with Mirador Real Estate, had three listings for Bushwick rentals in the last three months, all around $2,500 a month for three bedrooms. “A lot of people have been concerned and reluctant to move off of the L train,” said Milton, who needed an unusually long 30 days to rent the two near the Halsey and Wilson L train stops. In one of them, the landlord had to throw in a free month’s rent to seal the deal with buyers — which he never had to do before, she said. For the other, the landlord ended up accepting renters with credit history issues — another rarity, she said. The third listing, near the Myrtle-Wycoff stop — which also has the M train — was snatched up in three days. Leonard Steinberg, president of Compass, believes that the city and state should focus more on fixing New York's aging transit infrastructure. But not all transit-related real estate developments are negative. On the Upper East Side, where the Second Avenue subway is still sinking in, buyers and investors are flocking to the area, open houses are packed and prices are rising, brokers said. “The subway has made that area an option for people who previously wrote it off because of the inconvenience," said Jamal Syed, of BOND New York. 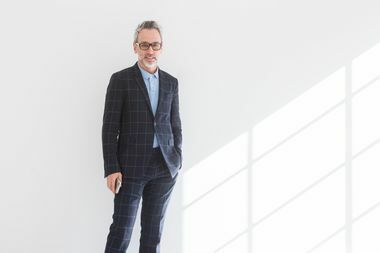 Retail spaces that were vacant because of the impact on small business during the construction are now being rented out — often to higher-end boutiques and restaurants, he noted. The Second Avenue subway line boosted rents considerably since launching this year, according to data from Nestio, a marketing and leasing platform for landlords and brokers. Upper East Side apartments along the Q line saw 12 percent growth rate over the past five months, the firm found. Syed said that studios he rented out last year for $1,650 a month are now going for about $1,800 a month, and studios at the Rose Modern — a new development East 74th Street near York Avenue his firm is marketing — are renting for $3,200 a month (after accounting for concessions). That would have been unheard of previously, he said. The city's new ferry service is also having a positive impact on real estate. Apartment units near the ferry route have undergone an average of a $500 per month rental premium compared to those 1 kilometer away, according to an analysis from Nestio of available rental inventory along the DUMBO, North and South Williamsburg ferry stops. Still, Gollotti hasn’t been impressed with ferry service along the Williamsburg waterfront. When the L train was recently closed during the weekend, he headed to the pier to take the East River ferry, but the boat only came about every 45 minutes, and was at capacity before he was able to board. But the city is poised to increase service. Since overhauling the ferry system — with fares now costing $2.75 — as NYC Ferry, the city has seen “unprecedented” ridership and is already looking to add capacity with more boats or larger ones within the next year. The city launched a new ferry route to the Rockaways and a South Brooklyn route from Bay Ridge to Sunset Park, Red Hook, Governors Island (on weekends), Pier 6 at Atlantic Avenue and Pier 1 near Fulton Landing before heading to Manhattan's Pier 11 near Wall Street. It will be launching service to Astoria in August.